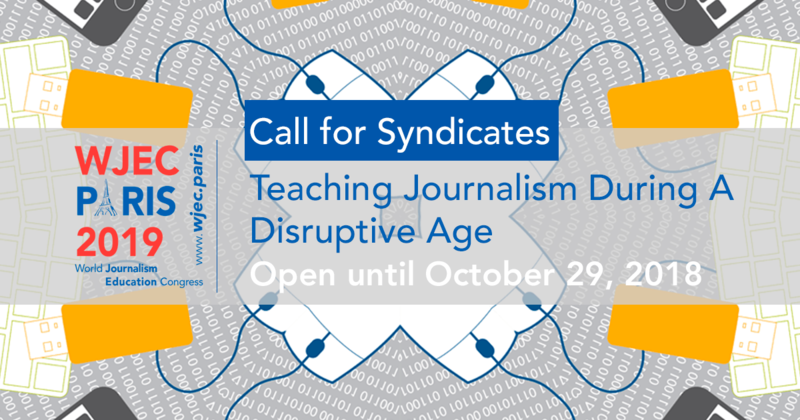 The Syndicate Program: an interactive conference highlight on the most urgent issues in journalism and journalism education today. The syndicates are a popular conference highlight, covered in your WJEC registration fees and filled on a first-come, first-served basis. Once an official list of syndicates are selected, you will be able to sign up for ONE only. Each syndicate will meet twice during the conference. You should be able to register for a syndicate once WJEC registration is opened, which will be announced in an upcoming newsletter. Sign up to receive this notice at: https://www.surveymonkey.com/r/QH27R3R.